This painting is emblematic of the refined and dramatic nocturnes that form the small catalogue of works by Adam de Coster. 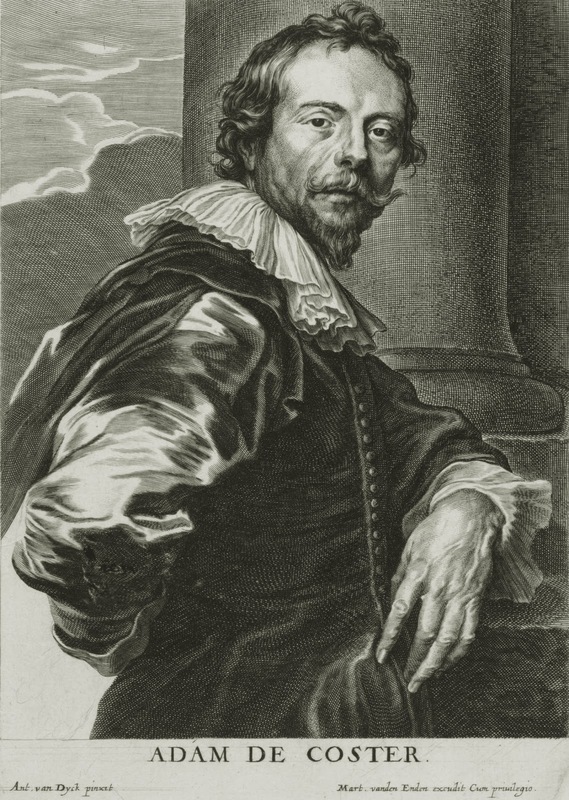 Benedict Nicolson was the first scholar to isolate a corpus of works by this Flemish candlelight painter in a series of publications. He based this group around Lucas Vorsterman’s engraving after a lost work by de Coster, which depicted tric-trac players and a musician illuminated by two burning candles on a table. Unpublished until its sale in 1992 when Professor Leonard J. Slatkes identified the work as by Adam de Coster, the present work remains one of the most significant additions in recent decades to the artist’s catalogue. 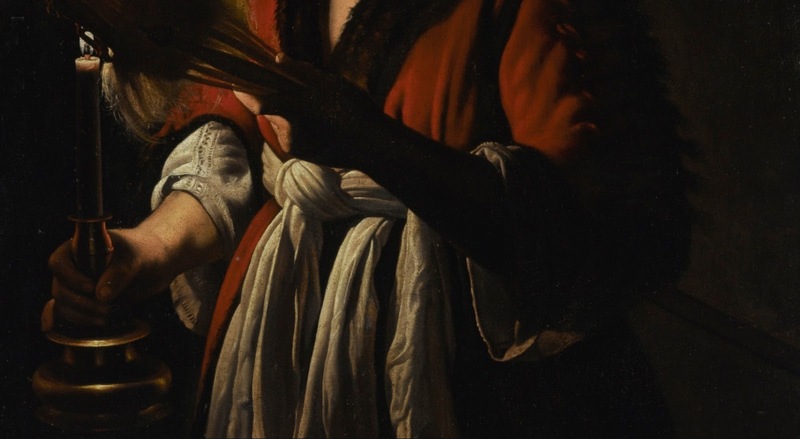 In this painting, the glow of a single flame illuminates the various rich fabrics and delicate features of a young woman set against a dark background. 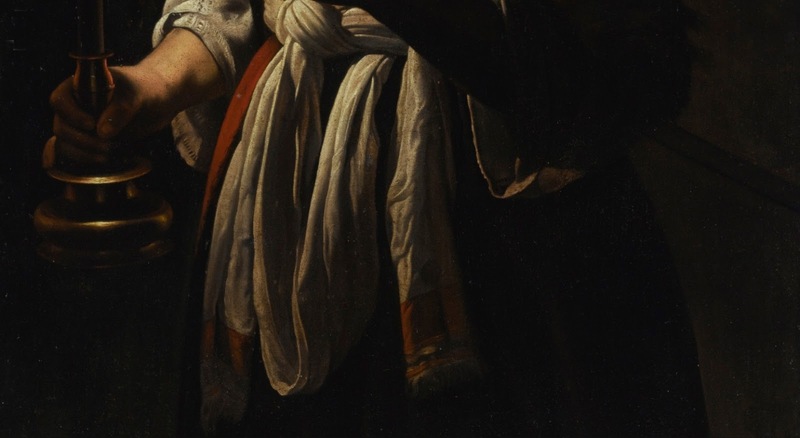 Vivid shadows cast throughout the composition define her engaging visage as well as the patterned details of her sleeve, the tufts of fur that line her robe, and the wispy tendrils of the distaff she holds near the candle. The same rich crimson color found in her robe and striped headdress is also subtly detectable in her supple lips, the apple of her cheeks, and the sheen of the stem of the candlestick. Distinct affinities are apparent between the present painting and de Coster’s A Man Singing by Candlelight(circa 1625-1635, National Gallery of Ireland, Dublin), a work, like the present canvas, once thought to be by Honthorst. Both works depict a single figure dressed in a fur-lined costume, beautifully lit by the flame of what appears to be the same candle stick. Although it is tempting to think these two canvases may have once been pendants that hung at opposite sides of a grand gallery, the figures face in the same direction and hold slightly different places in the picture plane. Adam de Coster’s A Young Woman Holding a Distaff Before A Lit Candle made a record $4.9m at Sotheby’s New York Master Paintings and Sculpture Evening Sale on January 25, 2017. 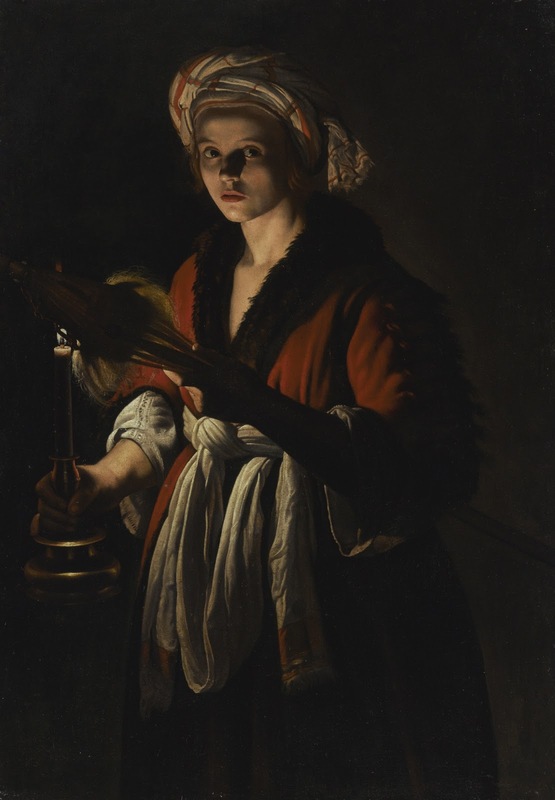 L’eccellente Notturno "A Young Woman Holding A Distaff Before A Lit Candle" -del 17° secolo di Adam de Coster, è stato venduto il 25 gennaio del 2017 per 4,9 milioni di dollari, stabilendo un nuovo record per l'artista e superando il precedente, stabilito da Sotheby’s nel 1992. Proveniente dalla Collezione Safra quest’opera rimane una delle conquiste più significative degli ultimi decenni per il catalogo del de Coster. 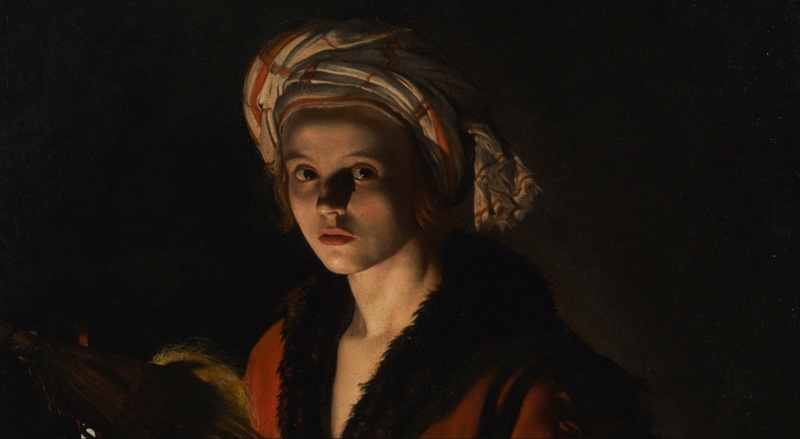 La giovane ritratta emerge dal fondo scuro, illuminata solo dalla luce della della candela, che permette di scorgere i delicati e preziosi tessuti del vestito. 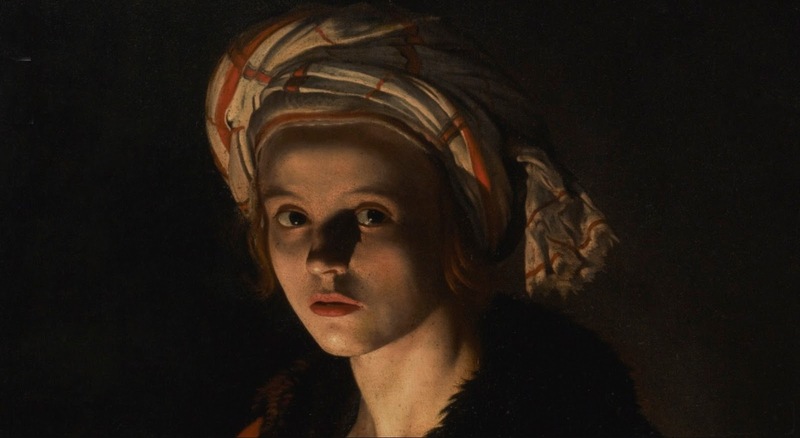 Per molto tempo gli studiosi hanno pensato che fosse opera di Gherardo delle Notti (Gerrit von Honthorst) o Matthias Stomer. 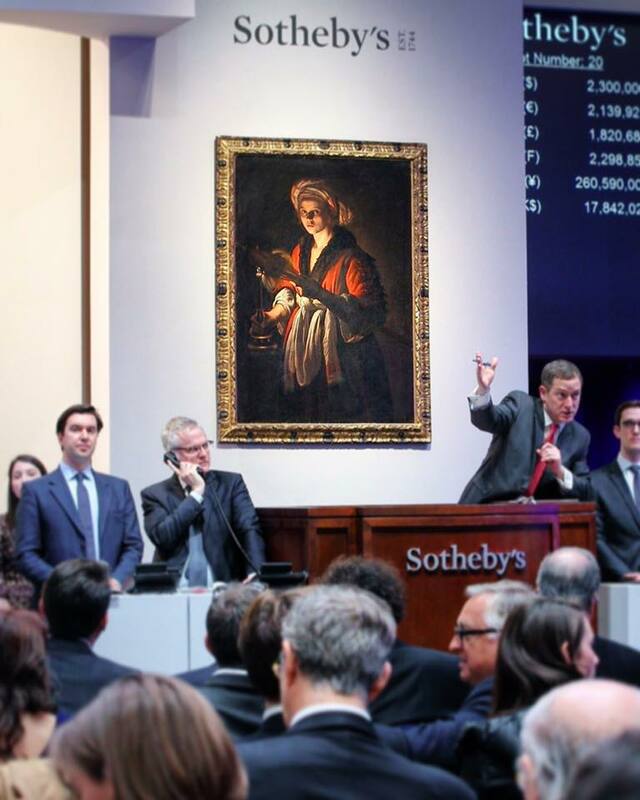 Non compare sul mercato dal 1992, quando fu venduta sempre nella Grande Mela da Sotheby’s per 418.000 dollari.